We can now reveal that Peter Oxendale, one of the UK’s leading musicologists, will be hosting our exclusive session on the recent US Court of Appeals judgement on the Willams v Gaye lawsuit. This session will delve into how the judgement will affect you when commisioning music for commercials in the future. 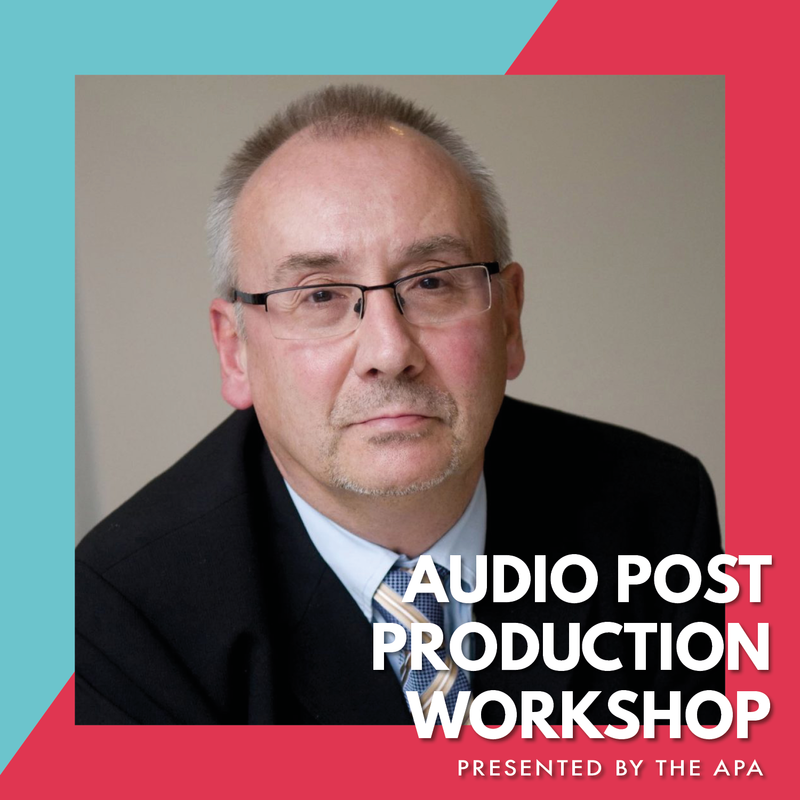 The APA are hosting a half-day workshop on 19th April aimed at agency and production producers to discuss sound design, the craft and how to get the most from your budget. 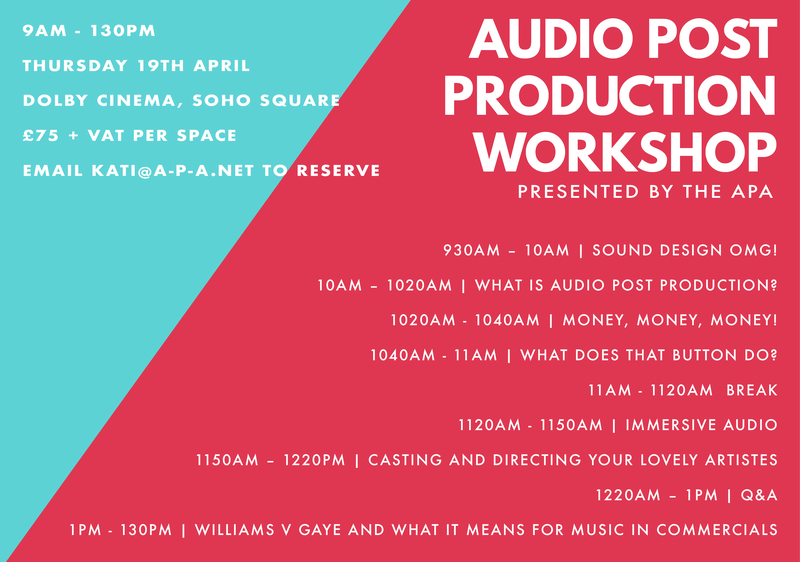 We’ll be looking at de-mystifying Audio Post Production and looking to the future of sound design in VR/360 and Dolby Atmos with speakers from Factory, GCRS, Angell Sound, Wave, Soho Sq Studios & Clearcut. The full schedule is above. Registration opens at 9AM with a 930AM start. Spaces are limited so click the button above to secure a space.